If the only tool you have is a hammer, it is tempting to treat everything as if it were a nail. Even though we are highly-trained and experienced litigators, we understand that litigation is not always the tool a client needs to reach a successful resolution. Alternative Dispute Resolution (ADR) services offered through White Arnold & Dowd P.C. include negotiation, mediation, and arbitration. These services provide a facilitated negotiation process that allows companies and individuals to resolve disputes outside of the courtroom. Utilizing negotiation, mediation, or arbitration rather than the traditional litigation process may result in more time-efficient and cost-effective solutions to conflicts or disputes. Most importantly, the flexibility, cooperation, and level of client participation typically found in the Alternative Dispute Resolution process may provide clients with greater satisfaction with the ultimate resolution of their dispute. We are well-equipped to provide experienced, neutral evaluation of disputes through negotiation, mediation, and arbitration. 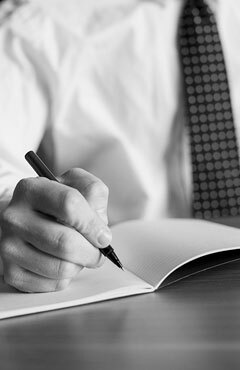 Our lawyers bring the skills and experience necessary to guide the Alternative Dispute Resolution process through to a creative and mutually agreed-upon end result. White Arnold & Dowd P.C. attorneys have successfully resolved a wide variety of disputes through negotiation, mediation, and arbitration, including complex divorce, environmental law, construction disputes, employment and executive severance matters, contract and business disputes, will contests, trust matters, estates, conservatorships, powers of attorney, and other fiduciary matters.